THE BUSINESS OF PHOTOGRAPHY CONFERENCE IS SET TO CHANGE THE FACE OF PHOTOGRAPHY IN NIGERIA. 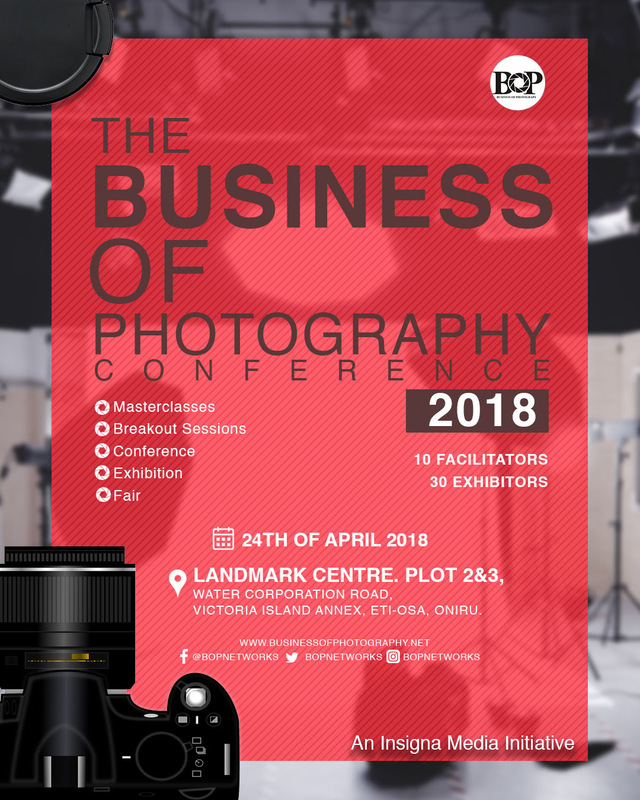 The Nigerian photography industry is about to take a new turn as all roads lead to the Business of Photography Conference at Landmark Event Center, Lagos on Tuesday, April 24, 2018. The Business of Photography Conference is aimed at bringing Photographers, photography manufacturing and servicing companies as well as photography retail businesses together under one roof to discuss, learn, exhibit, sell and buy everything photography. In recent times the need to efficiently monetize the photography industry and define its future as a major part of the current and future national revenue generation sector has become more important. The conference seeks to address the evolution of the photography sector from a business perspective and discuss a way forward as a means of charting a proper course for the future. It promises to be an exciting and engaging event as there are lots of activities planned for the day. The 12hour event is set to start at 9am and end at 9pm. The conference would feature five segments; the Opening, the Conversation (panel sessions), Masterclasses, Break out Networking sessions, Cocktail and Exhibition. During the conversation segment, attendees would have the opportunity to listen to and chat with award-winning Nigerian photographers about the future of photography in Nigeria. There would also be master classes where photographers learn certain set skills from the industry’s best hands. An exhibition area would also be set aside where attendees can buy and sell everything that has to do with photography. The grand ambition is to establish ‘Business of Photography’ as an annually held gathering of photography stakeholders, with attendees including creatives, investors, equipment manufacturers, retailers and buyers of creative work. 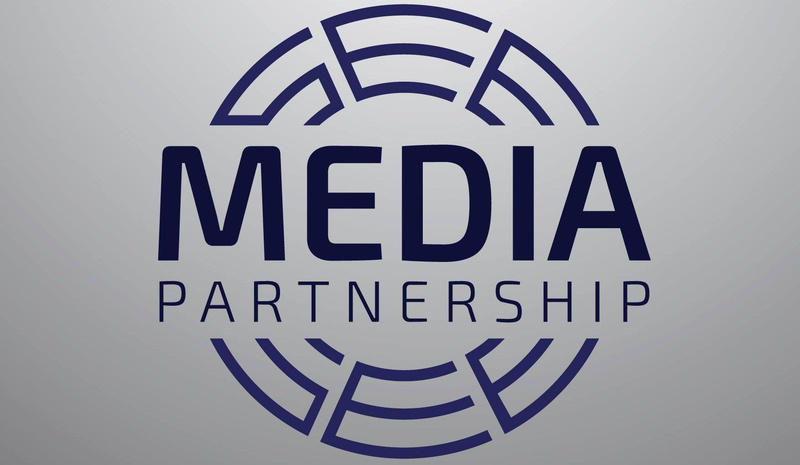 We are on the lookout for media organisation that is interested in partnering with our conference to promote global marketing awareness in general and generate ‘buzz’ for all parties involved. Interested?? As a Corporate Sponsor or Partner of the BOP Conference, your company, large or small, will be supporting a great initiative. We offer various levels of event and national sponsorships allowing you and your company to customize your level of support.